Rabbi Ilan Acoca has published his first book, The Sephardic Book of Why (Hadassa Word Press, 2016). Why is a set of Sephardi tefillin different from an Ashkenazi pair? 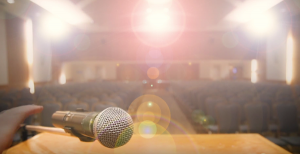 Why do Sephardim laugh during Havdalah, after reciting the blessing over the wine? Why do Sephardim not use the shamash to light the Chanukah candles? Why do Sephardim celebrate with henna before a wedding? These and so many other questions are answered by Rabbi Ilan Acoca in his book The Sephardic Book of Why: A Guide to Sephardic Jewish Traditions and Customs, just published by Hadassa Word Press. The spiritual leader of Congregation Beth Hamidrash for 17 years, Acoca will return to the synagogue for the book’s local launch on Dec. 10, as part of a larger tour. 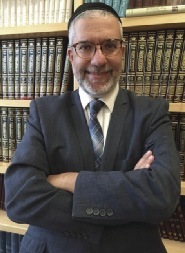 Acoca and his wife Dina have been rabbi and rebbetzin of the Sephardic Congregation of Fort Lee, N.J., since they left Vancouver in August, and Rabbi Acoca is also rabbi-in-residence of Yeshivat Ben Porat Yosef, in Paramus, N.J. The rabbi shared a little of his motivation for writing The Sephardic Book of Why, which, he said, took three years to put together. Adorned by a cover featuring the interior of Lazama Synagogue in Marrakesh, Morocco, The Sephardic Book of Why – Acoca’s first book – is divided into five chapters: Daily Rituals, Shabbat and Holidays, Lifecycle Events, Sephardic Culture, and Rabbi’s Musing. The last chapter comprises a selection of articles by Acoca that were originally published in the Canadian Jewish News. They cover a range of topics, including essays on “the middle path,” unity and the importance of diversity. So, having arrived in the United States from Vancouver only months before the presidential election, the Independent asked him if he had any advice to offer to Jews living in the United States (or Canada) about the polarity and divisions that were highlighted in the campaigns. For those wanting to learn more about the “original” ways of Jewish practice, or to see a good friend while he’s in town, the Dec. 10 book launch, talk and signing starts at 8 p.m. People can also order a copy of the book from Hadassa Word Press.